The Sweepmaster M600 is a compact, manual sweeping machine suitable for use in indoor and outdoor applications. One real draw is the sweeping and collection capacity. 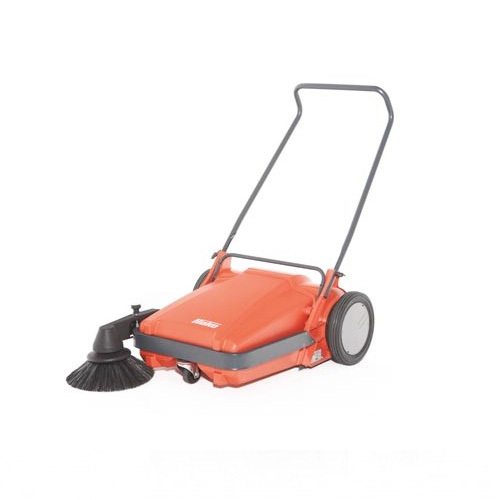 It can manage a theoretical sweep of 2,300 m2 cleaned per hour. A strong and robust machine with an aluminium frame and plastic hopper that is so strong it comes with a 5 year guarantee. The side-brush is able to be moved up to allow the Sweeper to pass through doorways. The hopper is easy to remove and empty. Large wheels allow for easy kerb and obstacle navigation.